In terms of the bigger picture, the Lakers have far more important issues than defeating the Warriors at Oracle Arena. As difficult as it may sound to the fans in Los Angeles, a Lakers victory tonight against the Golden State Warriors in the regular season will likely be their biggest victory all year. That shouldn’t downplay the significance of such a feat. But, the teams that are going to be playing in May are not worried about winning one game in November. Even if it is against the defending champions. Their first round draft pick D’Angelo Russell is not providing the production that was expected when he was chosen in the off-season. If it is any indication, Byron Scott seems slow to put faith in the rookie as Russell has been kept on the bench for certain games in the fourth quarter this season. This past summer was supposed to be about bringing in young talent that would change the course of the franchise. Instead, the Lakers have only two wins this season and looked poise to keep their up-coming top three draft pick from Phoenix. All of this while the future of their back-court hasn’t been given the chance to play in critical moments. The last time the Lakers and Knicks had clashed, Kobe Bryant left quite the imprint with a 61-point performance at Madison Square Garden. Bryant didn’t challenge that total this time around, but he nonetheless caught fire and led his team to a 100-90 win over New York. L.A. maintained control for the entire contest, as the Knicks shot just 38.9 percent, while each starting Laker scored double figures. Needless to say, this included Bryant, who dropped 34 points (14-of-20) — 13 of which came in a third quarter when he didn’t miss on any of his six shots. While Bryant poured in buckets and collected four assists and three steals, Pau Gasol (11 points, 16 rebounds) led the way on the glass, as L.A. outrebounded its visitors 60-36 for its fourth consecutive win. The discussion about the minutes of rookie D’Angelo Russell have been ongoing seemingly since the outset of the regular season. Many fans were frustrated that Russell would sit out entire fourth quarters, but head coach Byron Scott maintained that the second overall pick had to earn his minutes and would not get thrown out on the court just because of his draft status. Byron said hope is to get D'Angelo to 30-35 minutes per game. But Byron added, "That's up to him." The Lakers signed Lou Williams, Marcelo Huertas, and Brandon Bass in free agency this year but their acquisitions are proving to be questionable at best. The signings, which seemed ill-advised at the time, are proving to have been even worse decisions than most people expected. None of the three free agent players have lived up to the expectations the Lakers had, and have played fairly poorly, or not much at all, to start the season. However, the problem may not be their play, but the fact that they were signed in the first place. The players signed in free agency have become direct road-blocks in the development of the Lakers young core, and the Lakers should have seen that coming long before signing them. The problems start with the positions played by the free agents. Brandon Bass is a career power-forward, who has been a solid role-player at best. In the Lakers last three drafts, they have spent three separate picks, two in the first-round, on power-forwards. Why then, would the Lakers draft a player who could only take minutes from those players? In Bass’ case, he has actually been moved to the center to avoid the logjam at power-forward. However, not only has Bass struggled playing out of position, he has also taken minutes from another talented young player in Tarik Black. This issue further calls into question the logic behind signing him in the first place, if there is so little need at his position that he is forced to play elsewhere. The problems only grow when examining the two guards the Lakers signed in the off-season. The Lakers already had two promising young guards in Jordan Clarkson and D’Angelo Russell, both of whom are at their best with the ball in their hands. This was already an issue with ball dominant players like Kobe Bryant and Nick Young. With the addition of Williams and Huertas, the young guards’ opportunities have been decreased even further, leading to Russell’s usage rate being far behind that of his peers. Both of these players need the ball in their hands to be effective, and the ball being in their hands costs the Lakers valuable reps for their young talent. 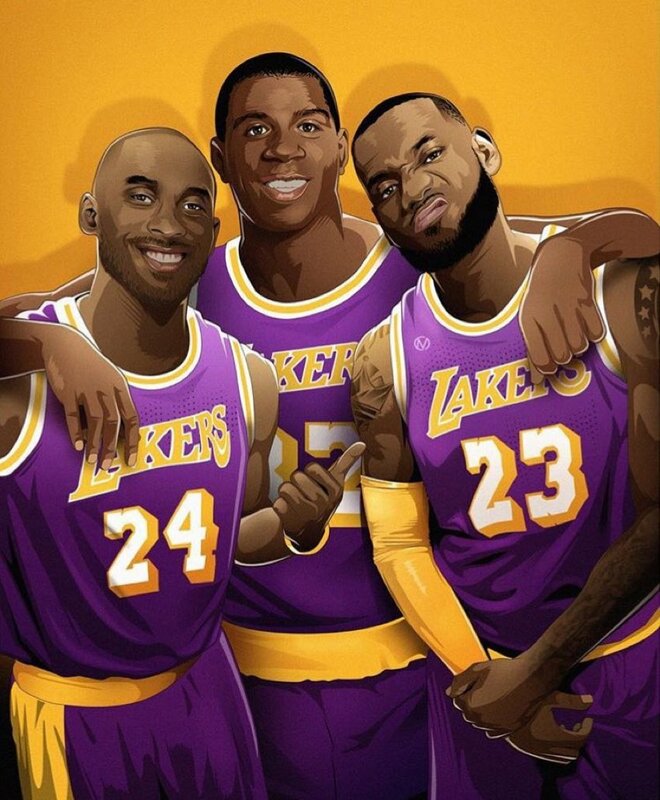 Kobe Bryant drew the ire of Nick Young after the Warriors throttled the Lakers. The Golden State Warriors ran the Los Angeles Lakers off the floor on Tuesday night in ORACLE Arena. Golden State jumped out to a 30-11 lead over the Lakers and, even if it doesn’t seem possible looking at that score, things only got worse for there for the Lakers. It was a disappointing, troubling effort from the Lakers, but nothing was quite as concerning as the performance of Kobe Bryant. Just days after head coach Byron Scott made curious comments about Kobe having the privilege to take as many shots as he wants, the 37-year-old exercised that privilege with the worst shooting night of his 20-year career. Bryant took 14 shot attempts on Tuesday versus the Warriors—seven of them threes—and converted on only one to finish the night with a meager four points. That’s a staggering level of inefficiency at that volume of shooting from Kobe. There’s no mistaking that the issues with ball-movement and high-volume shooting with the Lakers is costing the team even the chance at being competitive; those problems start with Bryant’s role in the offense right now and even his teammates are aware of this. “We can’t let one guy determine everything. We have to play as a team"
Swaggy the voice of reason. Kobe Bryant's farewell season has been a disaster, but it doesn't have to be. Byron Scott claims to be Kobe Bryant's friend. Bryant was his rookie in Scott's final season in the league, and the two men remained close even 18 years later, even after Bryant helped defeat Scott's New Jersey Nets in the NBA Finals. Their friendship was a key selling point in Scott's hire as the franchises 25th head coach. But friends don't let friends do this. Kobe Bryant embarrassed himself again Tuesday night in the Lakers' 111-77 defeat at the hands of the Golden State Warriors, scoring 4 points on 1-14 shooting. It tied the worst shooting night of Bryant's career. The Los Angeles Lakers have lost four straight games and a total of 12 on the season after falling to the defending NBA champion Golden State Warriors on the road Tuesday night. As if losing to the defending champs by 34 points wasn’t bad enough, Kobe Bryant has one of the worst performances of his career. Bryant only hit one shot on the night and finishing with only four points in 25 minutes on the floor. When the game was on the line, the Lakers knew to turn to one of the most dominant combinations in NBA history. Former Laker Nick Van Exel (34 points) had put a scare into the purple and gold, as Denver led by three midway through the fourth quarter. But then Kobe Bryant and Shaquille O’Neal checked back in, and L.A. finished on an 18-8 run for a 105-98 win. The victory — L.A.’s fifth straight — propelled the defending champs to a 12-1 start, and couldn’t have been accomplished without both of their stars. Bryant led the Lakers in scoring (25), rebounds (seven) and assists (seven), while providing offense when needed most. He tallied 10 points in the first quarter and scored L.A.’s last five of the game. The moves looked so precise, repetitive and efficient as Kobe Bryant navigated around the court. He caught entry passes in the post before displaying his well-timed footwork to create favorable angles toward the basket. Bryant moved around the perimeter with ease as he hoisted 3-pointers with the same elevation, form and follow through. The Lakers’ 37-year-old star then went in the paint and perfected a series of hook shots with both his right and left hand. As Bryant took these countless shots from all over the court, most of them sailed into the basket. Some rimmed out. Some fell short. But soon enough, Bryant hoisted more shots that then swished into the hoop. It looked like Bryant finally discovered his old self. But there was one problem: Bryant completed and perfected this routine in pre-game warmups. No where did Bryant show any of his beauty in the Lakers’ 111-77 loss to the Golden State Warriors on Tuesday at the Oracle Arena. Instead, Bryant posted four points on a 1-of-14 clip, including a 1-of-7 mark from 3-point range. It could have been worse had Bryant logged more than 24 minutes, 41 seconds through three quarters. Bryant took plenty of those. His mid-range jumpers and 3-point shots mostly either bricked or rimmed out. Bryant also shot two 3-pointers that hit nothing but air. Bryant missed a layup. Bryant hoisted a mid-range jumper only for the ball to get stuck between the rim and the backboard. Believe it or not, the Warriors actually put in the work to come up with a game plan for the two-win Lakers. It started with Kobe Bryant, even though the aging superstar is posting the worst shooting numbers of his career. Entering Tuesday’s game, he was shooting just 33.1 percent from the field and 20 percent from 3-point range . Bryant has been far from such in his 20th season, but Walton’s comments illustrate the respect Bryant still commands. As a former Lakers teammate of Bryant’s, Walton has seen the future Hall of Famer at his best. “Every time I see him get into one of his moves I’m like, ‘Oh yeah, he got that defender’ and you’re so used to seeing those shots go in,” Walton said. “He’s still good enough that he gets the shots that he wants. This article pretty much sums up what is wrong with the Lakers coach and Kobe Bryant, majority of the quotes are about Kobe's shooting, that's where the main concern is instead of telling Kobe to focus on other parts of the game and stop taking as many shots. Like Kobe said, he can score 35 points or whatever he said and it won't make a difference because he is not doing the other things like getting back on defense moving the ball and try to get others going especially Hibbert. Hibbert would've been a nice point of attack against he warriors. He is right about one thing tho, the Princeton offense needs to be scrapped. 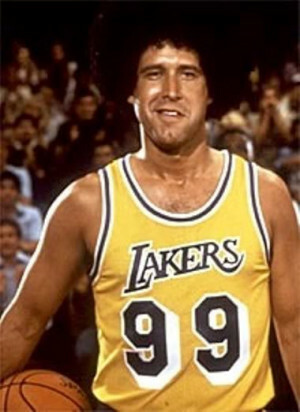 Lakers need to go back to the basics. Honestly one could hardly tell we have an offense. All you see is ISO ball. Biggest issue is the lack of a real offensive system. Should Kobe be taking wild 3s at a high volume? No, but that's not really the issue. In fact, the problem is not with Kobe or any one player. The pieces on this team do not work together, and there is really no offensive system. These are the major issues. Some pin it all on Byron, it's not totally his fault. He's not the right coach for this team and it's not close. Some pin it all on Kobe, it's really not all on him either - he would look a lot better operating in the painted/elbow area in the legitimate triangle offense than he does placed at the long 2 or 3 point range most of the game. GSW game performance wouldn't even happen if this were the case. Clarkson looks lost, Russell is frustrated and being restricted basically for no reason, and Randle is just trying to make something happen out there. What I'm saying is that there are a lot of colossal issues with this team that boil down to an incompetent plan on offense and defense and as a result it's making everyone look like crap more often than not. With how much every Laker brass was talking playoffs and progress before the season, they should be doing anything possible to make that happen. I want to be clear, there has been no progress made at 2-12. At the current win/loss rate they need to make a change because right now they're looking at being much worse than last year. The purpose of a rebuild is to make some level of gradual progress. We aren't showing it. Time to modify and adjust. The difference in the Warriors offense and the Lakers lack of organization could not have been more stark. The Warriors penetrated, kicked, moved the ball from a good shot to a great shot, then fought for the rare offensive rebound. They played inside out, outside in, set effective screens and boxed out. The Lakers moved the ball laterally around the perimeter until someone jacked up a long jumper. Watching NBA game reviews you see that everyone in the league is shooting for effective ball movement, while the Lakers look disorganized and disjointed. Nick Young isn’t the only Lakers player who is frustrated with Kobe Bryant and the current state of the Lakers. After Tuesday night’s beat down by the Golden State Warriors, Lakers’ players were quick to sound off on what they believe is wrong with the organization. Even the normally happy-go-lucky, Nick Young candidly admitted that the Lakers need to “play as a team,” and that they “can’t let one guy determine everything.” Without actually stating his name, Young was able to fire shots heard around the world at aging superstar Kobe Bryant. And when Nick Young is your voice of reason, you know you have a problem. But the criticism doesn’t stop there, even rookie D’Angelo Russell, who is notoriously even-keel, is beginning to show frustration with Bryant. After a play in which Russell was required to rotate over and guard two players, because Bryant was slow to do so, Russell showed his displeasure, staring at Kobe then shrugging, with a defiant “What do you want from me,” look across his face. This play was after Bryant yelled at Russell for not passing him the ball on the offensive end of the floor. Bryant ended the night 1-for-14, a career worst. Russell’s frustration carried over to his post game interview. D'Angelo Russell sat on the bench as the Los Angeles Lakers ended their 34-point blowout loss to the Golden State Warriors, the same place he observed the entire fourth quarter. For the fifth time in 14 games, the second overall pick in the 2015 NBA Draft did not play a second in the final period of a Lakers game. Although the Warriors held an insurmountable 89-55 lead entering the fourth, most observers would agree that Russell could learn more from playing against actual NBA players than from watching garbage time. Byron Scott is not one of those people. After the game, Scott said "there was really no reason" to have played Russell in the fourth quarter and when asked directly if those reps could help Russell develop he replied "Nah." Just watched that Nick Young interview... You know it's bad when swaggy p looks like he has lost all hope. They gotta make a change. Just look at the body language of Swaggy and D'Angelo. Some of the worst you will ever see. It speaks volumes. Turn the sound off, and you can still feel the gut wrenching depression and disgust! Changes need to come, the sooner the better. So Byron is concerned with Russell's risk for injury but not that of the 37 year old guy on the team with 56k minutes on his odometer? Coaching malpractice. There must be a cause of action under California state law to sue.